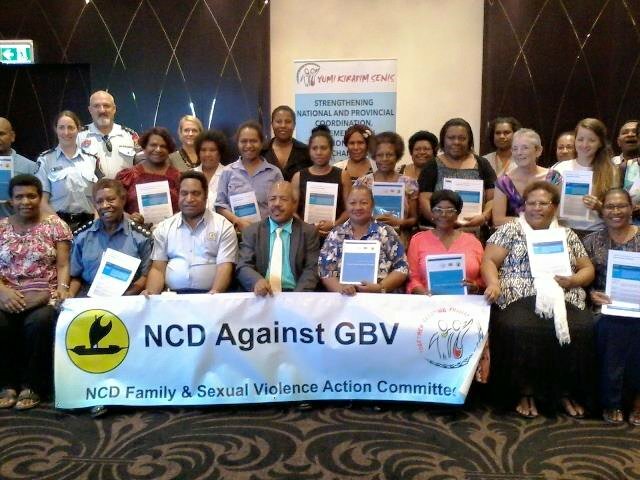 Addressing Gender Based Violence in NCD has been given a boost as Governor Powes Parkop today launched the Gender Based strategy formulated by NCDC Gender Desk and other stakeholders. The Gender Desk will be called Family & Sexual Violence Action Committee Secretariat (FSVACS) with the aim to coordinate and strengthen the national and provincial relationship with partners to fight the issue of Gender Based Violence (GBV) in the city. Governor Parkop announced a K1.1 million funding to start the project with the aim to contain and reduce all forms of violence starting in the Nation’s capital. The governor has also declared Port Moresby a Safe City for Women and Girls and will do whatever it takes to make sure that this goal is achieve in the city and other major centre of the country. With the vision, a safe city free from all forms of violence where people respect and support one another, to establish maintain and strengthen effective partnerships within NCD FSVACS to respond to and reduce Gender Base Violence (GBV) in our communities; by communicating effectively at all levels to ensure improve services to GBV survivors, increased public awareness and ongoing political support in line with the National Strategy to Prevent and Respond to Gender Based Violence goal 2015-2050. Picture: Governor Powes Parkop, Deputy City Manager Honk Kiap & other FSVACS Stakeholders displaying the FSVACS Development Strategy during the Launching.